Discover how to rise to a new level of strategic warfare, how to go beyond your natural limitations, and how to pray prayers that invade the impossible realms. Unlock the doors that lead to your divine destiny! Join us today, as we seek to raise up a prayer covering over all the nations! Only through prayer will we be able to see the power and anointing of Jesus reap a great harvest of souls. Beloved, take your place, step into your end-time calling, and receive power to pray as you’ve never prayed before! Together we will shake nations! Mobilizing a strategic, united, global prayer covering. Our vision is to mobilize strategic, united, global prayer. We have a mandate from God to build an army of over 100,000 prayer warriors to raise up a prayer covering over all the nations of the Earth. This prayer covering will be key to the end time manifestation of the power and Anointing of the Holy Spirit and the great harvest of souls won into the Kingdom of God. Join us! Help us build a connected global community that will pray and seek the face of God. Unite with us in mobilizing over 100,000 intercessors to raise up a prayer covering over all the nations of the world! Our mandate is to reach every single person in every corner of the Earth with the Gospel of Jesus Christ. Only through prayer will we be able to see the power and anointing of the Holy Spirit manifested and a great harvest of souls won into the Kingdom of God. 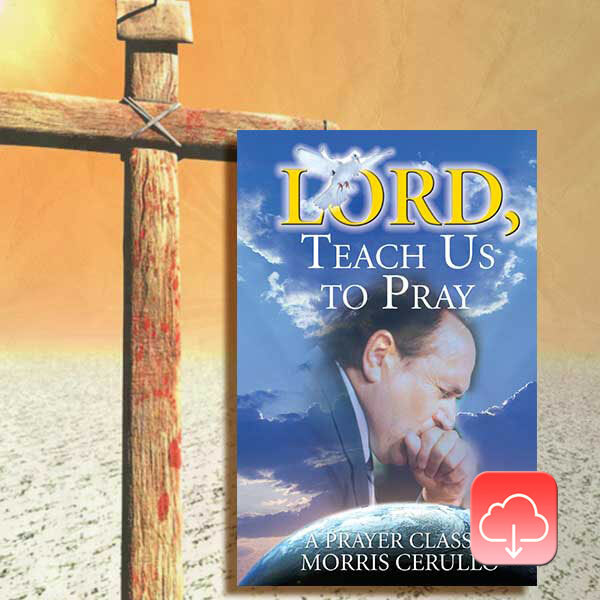 A FREE download of my book— Lord, Teach Us to Pray. Your very own, personalized Legacy Global Prayer Community membership card. A monthly community email with a prayer mentorship devotional, updates, testimonies, prayer targets, and a personal Word from me. Your name and location (if you so choose to include) will appear on our interactive map. A fresh prayer anointing that will bring you to a whole new dimension of answered prayers. Special LGPC Facebook frame for your Facebook profile to motivate your family and friends to join our movement. I consecrate my life to Jesus. Not my will but Yours be done. I devote myself to prayer, fasting, worship, and the Word of God. I commit myself to the Body of Christ and consistent corporate gatherings. I yield my life to be led by the Holy Spirit and will obey His voice. I will faithfully intercede for Morris & Theresa Cerullo, the Legacy Center, and the needs of others. Yes, I want my name to be shown on the map. if not selected "Anonymous" will be shown in place of your name. I agree to my personal information being stored and used to receive communications from Morris Cerullo World Evangelism.